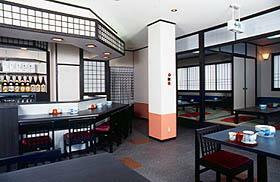 Japanese Eatery Close to Karuizawa Sta. 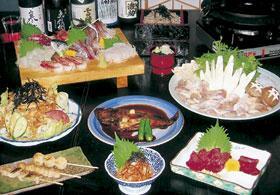 with Fresh Fish Straight from the Sea of Japan, Local Poultry and Wide Variety of Sake. 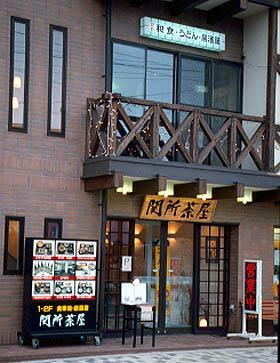 Located 3 minutes by foot from Karuizawa Station's north exit. 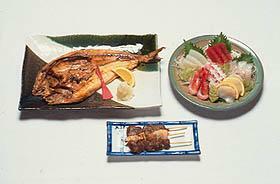 Sashimi and grilled fish from seafood brought in fresh straight from the Sea of Japan. Tsukune Nabe stew with chicken meatballs with the distinct firm texture of the local variety of poultry called Akagikei. Over 80 menu items with carefully selected ingredients. Wide selection of sake and shochu. A variety of options for lunch and set menus. 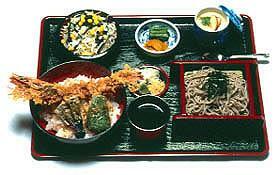 Especially popular is the Tendon (Tempura Rice Bowl) Special with a whole shrimp. Free coffee with meal during weekdays. The casualness of a pub with the unbeatable taste of a fine Japanese restaurant. Akaneya Coffee : Cafe Where Every Menu Item is an Original.